A winning mystery collection edited by #1 New York Times bestselling author Charlaine Harris—featuring an original Sookie Stackhouse story. Nighttime is the perfect time for the perfect crime—especially in the realm of the paranormal. 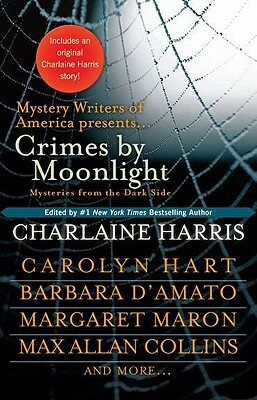 Featuring fascinating, frightening, and sometimes funny stories by Mystery Writers of America including Carolyn Hart, Barbara D'Amato, Margart Maron, Max Allan Collins and Mickey Spillane, and Elaine Viets, Crimes by Moonlight is your portal to the dark side and all its wonders.